There's never been an easier way to plan and visualize a beautiful, functional landscape than with Virtual Architect software! From lighting to pathways, decks to gazebos and more, you can transform your outdoor living space in no time at all! Add outdoor lighting to flowerbeds and along pathways, plus insert pop-up sprinklers with varying spray ranges. 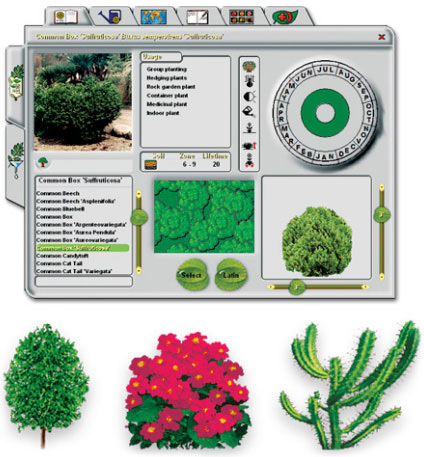 Plant Encyclopedia: With over 7,500 plants, trees, flowers, shrubs and groundcover options to choose from, you can customize your garden any way you like. Want to know what thrives best in different areas of your garden? Virtual Architect software also includes important information about your chosen plants’ climate, water, light and soil requirements! Visualize: With the click of a mouse you can scan in digital photos of your yard to easily add garden design elements to Virtual Architect software. 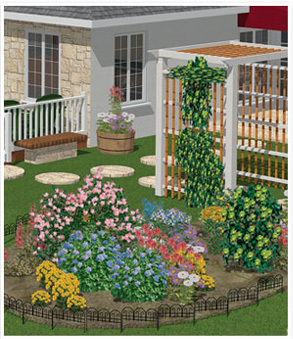 Take a 3D tour of your new yard and even see how plant sizes grow and change from year to year! 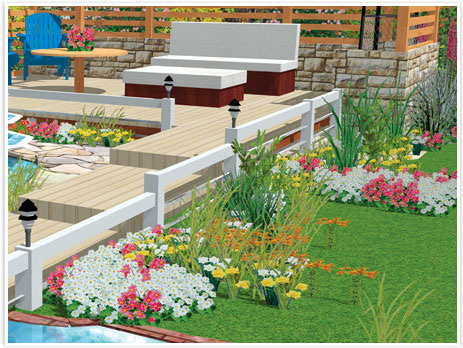 START DESIGNING YOUR NEW GARDEN TODAY!